At FEP, our team is continuously looking for opportunities to leverage our networks of strategic partners and investors to support the growth of our portfolio companies. 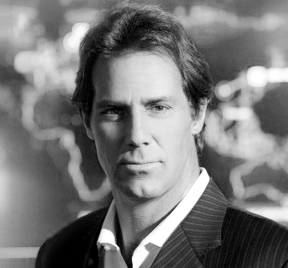 David G. DeWalt is a renowned cybersecurity executive. He is a member or leader of six boards of directors, including ForgeRock, a San Francisco-based multinational identity and access management software company. He is also vice chairman of ForeScout Technologies, a San Jose cybersecurity firm focused on network-connected devices, and a board member of Five9, a leading San Ramon-based provider of cloud contact center software. DeWalt is also chairman of New York City-based Claroty which secures and optimizes OT networks that run the world’s most critical infrastructures. Additionally, DeWalt is a director of Delta Air Lines and an appointee to the national security telecommunications council of the U.S. government. DeWalt is also a member of the Board of Trustees of USF. 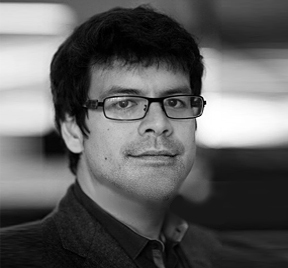 Kirk Dizon is a Co-Founder and a Director of Ma Nian and ACM (the pre-cursors to Founder’s Equity Partners). Mr. Dizon is also Partner and Chief Operating Officer of Sentinel Dome Partners LLC, ("Sentinel Dome"), an event-driven hedge fund. Prior to working with Sentinel Dome, Ma Nian and ACM, Mr. Dizon was Co-Founder and Managing Director of Birdseye Partners LLC, a boutique platform dedicated to providing secondary liquidity solutions for select pre-IPO technology companies. Mr. Dizon was also a Co-Founder and Managing Director of Institutional Global Investors LLC ("IGI"), a multi-asset class investment platform dedicated to investing with managers in China and Emerging Asia. At IGI, Mr. Dizon led many of the firm's activities, including investments, operations and finance. Previously, he was a Managing Director at Hall Capital Partners LLC ("Hall Capital") where he spearheaded many of the firm's investment activities in Asia across asset classes and served as Co-Head of the firm's global $3B+ Private Equity/Venture Capital program. Mr. Dizon also had co-management responsibilities over the operations of the firm's Pooled Vehicles program, and served as the firm's General Counsel and Chief Compliance Officer. Mr. Dizon currently serves on the Executive Boards of Cendana Capital and ChrysCapital Investment Advisors, as well as the City of San Francisco's Ad Hoc Technology Advisory Council. He formerly served on the Executive Board of Three Bell Capital as well as the Limited Partner Advisory Boards of Asia Environmental Partners, Freestyle Capital, Friedman Fleischer & Lowe, Gemini Israel, Khosla Ventures, Longreach Capital, New Horizon Capital and Qiming Venture Partners. 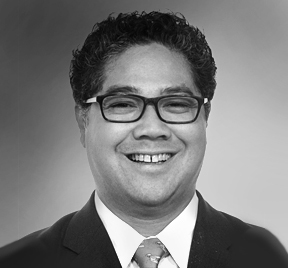 Prior to joining Hall Capital, Mr. Dizon practiced law at Cooley Godward LLP, where he was a Partner in the Fund Formation Group and served as counsel to numerous alternative investment firms (including private equity, venture capital, hedge funds and funds-of funds) and institutional limited partners (including sovereign wealth funds, pensions, private foundations and multi-family offices). Mr. Dizon earned a B.A. in Economics from Pepperdine University, a J.D. from Loyola Law School, and an LL.M. in Taxation from Georgetown University Law Center. 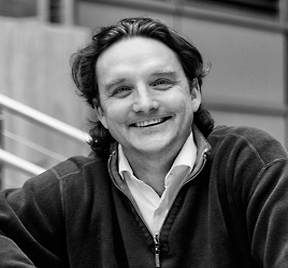 Mr. Gibney began his investing career with an early investment in Confinity, Inc. (the predecessor to PayPal), which was co-founded by his college classmate, and has made early and follow-on investments personally and through Founders Fund, where he was a general partner, in start-ups including Palantir Technologies, SpaceX, DeepMind (acquired by Google) and others; his most recent investments have focused on artificial intelligence, machine learning and analytics and financial services. In addition to his investing duties at Founders Fund, Bruce oversaw partnership operations, media and public relations, and investor relations, and authored the firm's thought pieces. Prior to that Mr. Gibney oversaw one of the public equity portfolios at, and later operations generally for, Clarium Capital Management, which had peak assets of over $7.5 billion. Mr. Gibney is a graduate of Stanford University and the University of California, Los Angeles School of Law. He is a member of the bar in California, New York, and the District of Columbia. Cole Sirucek is an investor and entrepreneur with over 14 years of experience founding, investing into and otherwise supporting entrepreneurial ventures on a global basis. Cole has founded a diverse range of business in his career. He is a Co-Founder of DocDoc Pte. Ltd., which is Asia’s largest real-time online doctor discovery and appointment reservation system. He is also the Co-Founder of Epic MMA Club, Asia’s largest mixed martial arts training center. Previously, Cole was an Independent Member of the Board of Directors for Global Eagle Acquisition Corp, a US$190M, NASDAQ listed Special Purpose Acquisition Corporation focused on the media and entertainment industry. Cole spent seven years as a direct investor with Temasek Holdings. In this capacity, he sourced, executed and monitored investments on a global basis in the firm’s telecommunications, media and technology group. He has successfully invested over US$500M in private equity direct and secondary transactions. Before Temasek, he was the Co-Founder and Executive Vice President of Pluto Networks – a wireless data networking company. He has previously held executive positions in Hawaii’s State Government and has worked as a technology venture capitalist and strategy business consultant. Cole attended Massachusetts Institute of Technology, Sloan School of Management (Master of Business Administration) and Harvard’s Kennedy School of Government (Master in Public Administration). He was a President of MIT’s Private Equity & Venture Capital Association and a Lead Organizer of the MIT $100K Global Startup Workshop Entrepreneurship Competition.